I have just received the review copies of JB Kaufman's two long-awaited books about Snow White and they are as outstanding as expected. I will write a few lines today about the catalog of the Walt Disney Family Foundation exhibition, Snow White and the Seven Dwarfs: The Art and Creation of Walt Disney's Classic Animated Film and will then review the "main book" on Monday. 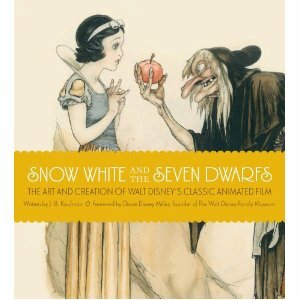 The most surprising thing about the catalog, is that if it had been handed to me without any hint that the "main book" (The Fairest One of All: The Making of Walt Disney's Snow White and the Seven Dwarfs) existed, I would have be convinced that it was the best art-book ever about the movie. 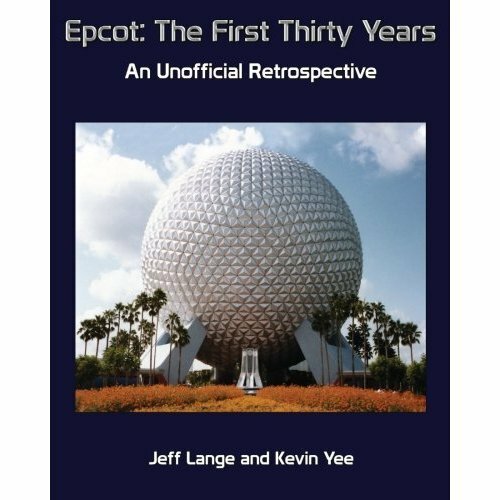 That "catalog" is 256-page long and must contain about 600 illustrations, at least 30% of which I believe I had never seen before. 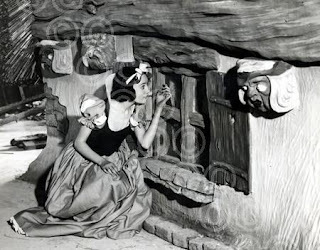 The concept drawings by Ferdinand Horvath for the Dwarfs or the Witch are priceless, as are the live-action reference photos showing Marjorie Belcher (the series with Perce Pearce in itself would be worth the price of the book from my point of view). 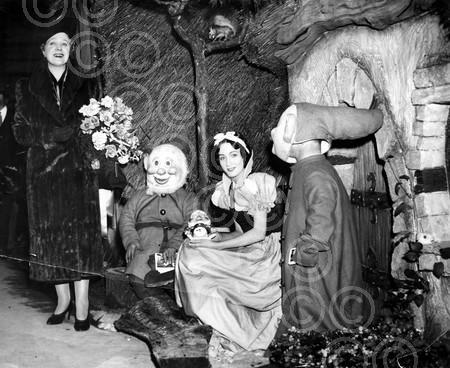 The sections about "The Snow White that Never Was" are also full of jewels which will satisfy even the most serious Disney historians. 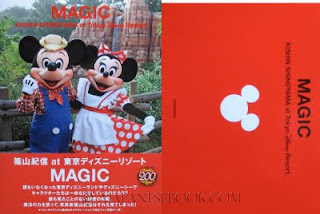 The text in this catalog is fairly short (much more detailed than in any other "catalogs" however and as long as in some books released by Disney Editions in recent years) and is aimed at a rather broad audience in this specific instance. 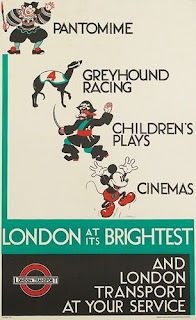 To say that A Disney Sketchbook is a disappointment is an understatment. We have been awaiting this book for years, which might be part of the issue. During all those years we have come to imagine that the delay was due to an effort to improve the content to make it unbeatable. Not so, unfortunately. 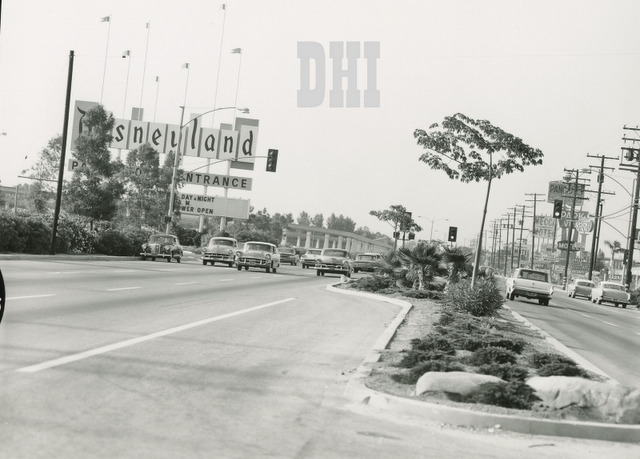 "The concept for this publishing project", according to the authors, "was to build a sketchbook that may have been passed around The Walt Disney Lot, one in which artists have studied each other's work over very different period of times." OK, I buy this. It could definitely work. A sketchbook concept opens the door to many ideas: collecting astounding drawing by Horvath, Hurter, Hall and other concept artists; showing weird gag drawings, letting us discover never seen before concept art, getting access to very rough animation studies by the best Disney artists of the Studio throughout the years and on we go. Instead of all of this, we get a selection of drawings which we have seen a million times before, with no artists credited anywhere. Weird. And the worst part is that this book could at least collect hundreds of drawings, but instead limits itself to very few, blown up to fill up large pages. Enough complaints for today. 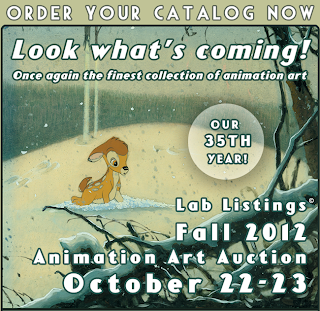 Disney Editions has brought us many beautiful books in the past and a mistake can happen from time to time. I have a feeling that the new volume of The Archives Series will be way more exciting and will make us forget this strange sketchbook. Once again, I need the help of a volunteer. Is anyone of you based in Wyoming? 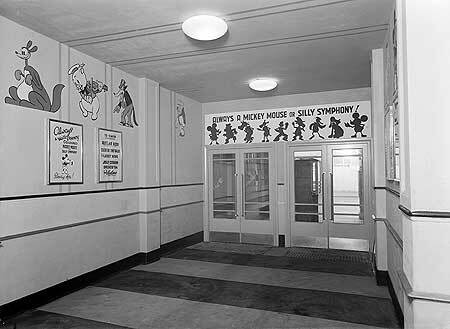 I just discovered by Pete Martin, the journalist who wrote the book The Story of Walt Disney by Diane Disney Miller, donated his papers to the American Heritage Center in Laramie. 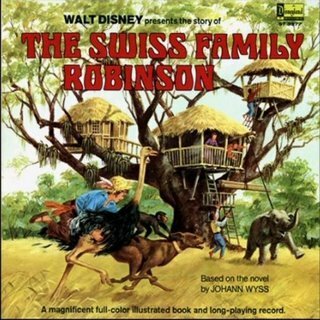 Among those papers are some interviews with several of the artists involved in the creation of the movie Swiss Family Robinson. I would love to get access to those documents. Could you contact me by email (didier.ghez@gmail.com) if you can help? 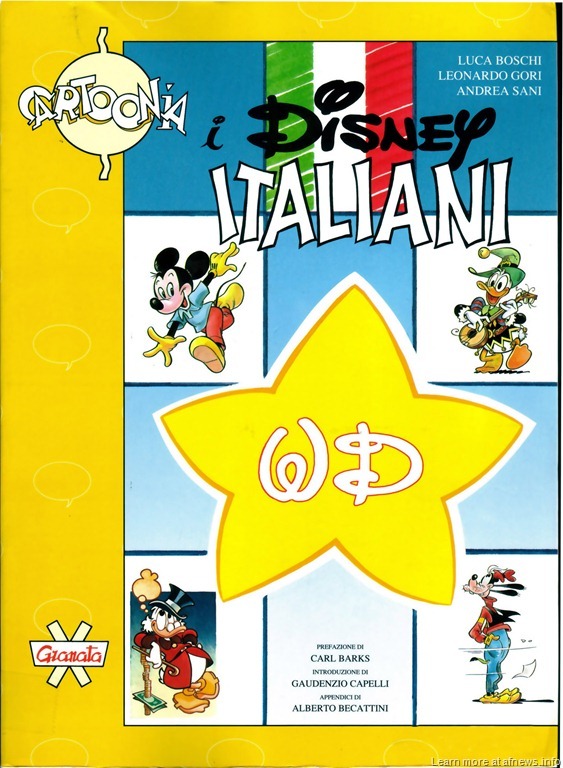 We are hearing some persistent rumors about the release in a few months of an updated and expanded version of the book I Disney Italiani, in two volumes. 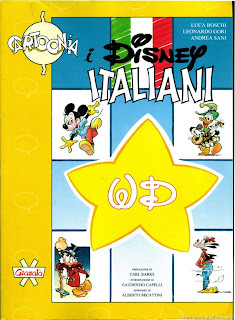 While released only in Italian, this would still be very exciting news. 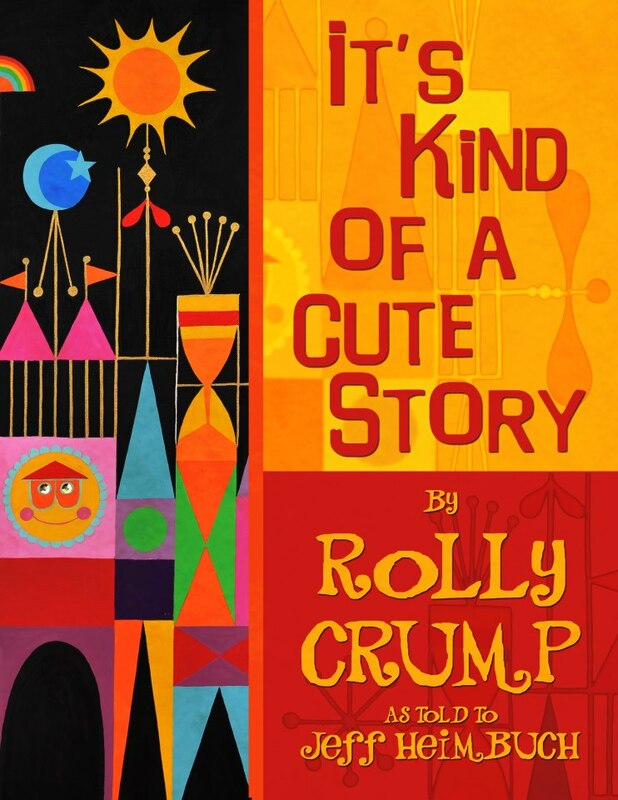 Did anyone pick up this new book? Is it worth buying? These are the other two books in Japanese I was alluding to yesterday. They are books of photos by a famous and controversial Japanese photographer named Kishin Shinoyama. Definitely not "must haves", but I was happy to know that they exist. While in Japan, we had the chance to visit Tokyo DisneySea for the very first time. 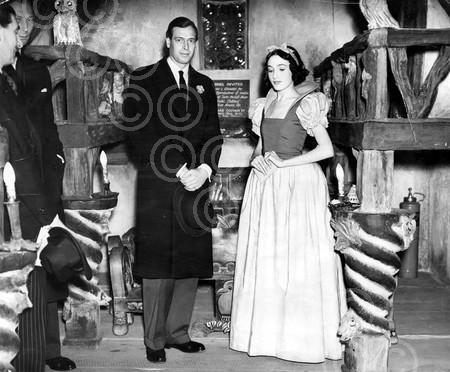 We enjoyed it tremendously like countless other visitors. More importantly the visit of the park allowed me to discover a three new books in Japanese, which I believe will be of interest to a few of you. By far the best one is Tokyo DisneySea Chronicle, which takes us event by event through the first 10 years of the park. I will discuss the other two books tomorrow. 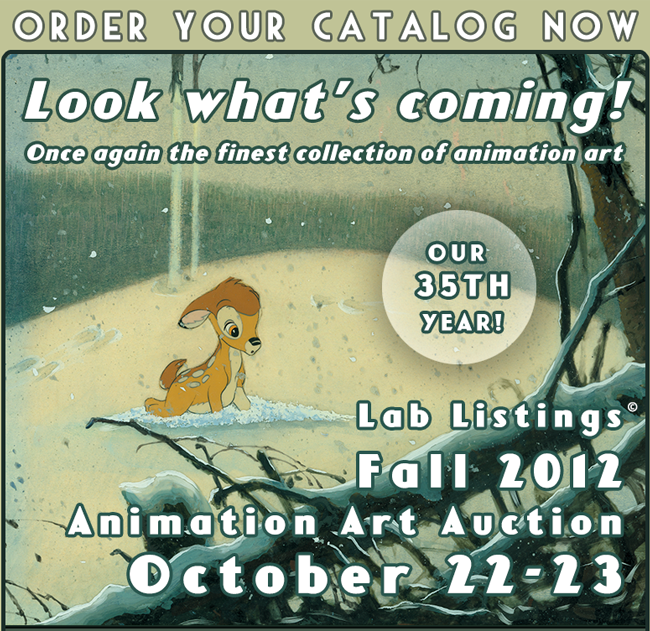 S/R Labs' next auction is coming soon. 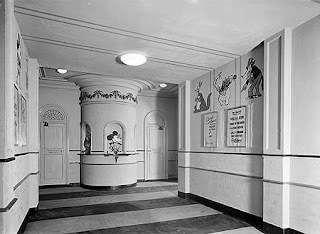 England once more with the interior of this theater from Great Britain in the mid-'30s. Dave de Caro runs two of the best sites about the history of Disneyland: Daveland Vintage and Current Disneyland Photo Index and Davelandblog. He has also helped transcribe countless interviews for Walt's People. I owe him a public apology, since I forgot for the second time in a row to include those two great sites in the Additional Resources section of Walt's People. This will definitely be corrected in Volume 13! Here is a poster you could see in the London tube in 1934! 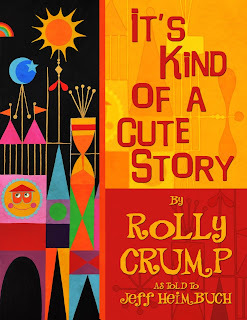 Jeff Heimbuch has just released the cover of the upcoming autobiography of Rolly Crump. I must admit that I love it. Can't wait. On Saturday some documents from 1972 linked to some exploratory work at Disney on an animated version of The Hobbit were sold on Howard Lowery. If you are the buyer and are reading this blog, could you please email me? 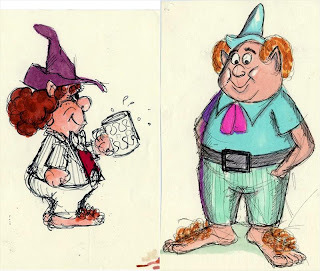 (didier.ghez@gmail.com) I would love to get copies of the five-page analysis of the story by animator Frank Thomas dated 11/10/72 and 2-page study of Hobbits and Bilbo Baggins by storyman Vance Gerry dated 10/20/72 for research purposes. Here is a review of the exhibition (from The Catholic Herald). The cottage is mentioned, but the reviewer, lacking a young person in tow, was too embarrassed to go in!